The cuvée "Tsar Pierre le Grand" from Château Eugénie, a family property in Cahors, is the favorite of the journalist and oenologist Dominique Hutin who recommended it in the famous radio program "On va Déguster". This is a "rather soft" wine and "poorly supported in color", which is quite amazing in this southwestern region, he says. 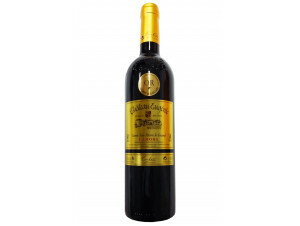 The name of the cuvée is a nod to the Russian Tsar who cared for his stomach with Cahors wine. It is said that its tannins have healing properties!